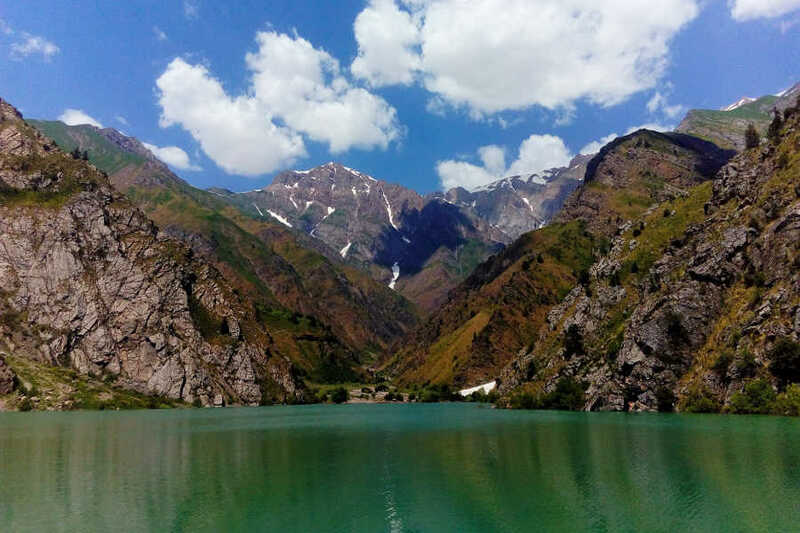 This tour originates from Tashkent. Use the form below to inquire about Unique Uzbekistan . Use the form below to reserve for Unique Uzbekistan . Uzbekistan is a Central Asian nation and a former Soviet republic. It’s known for its mosques, mausoleums and other sites linked to the Silk Road, the ancient trade route between China and the Mediterranean. 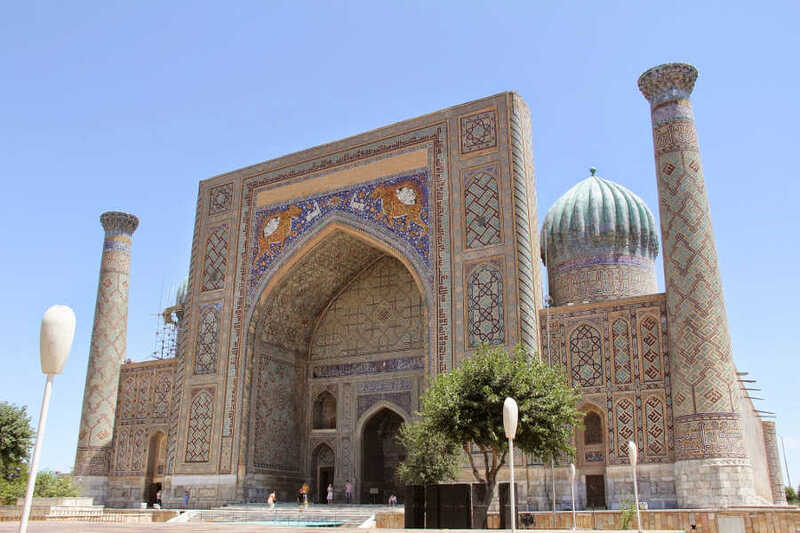 Samarkand, a major city on the route, contains a landmark of Islamic architecture. The country’s known for its super-sweet, fresh watermelons, and achichuk salad, consisting of thin, long-sliced tomato, red onion and cucumber. This is served with plov, the national dish – rice cooked in a huge pot and tarted up with veg, quail eggs and slices of meat (beef, lamb or horse). This package covers Tashkent (4N), Samarkand (2N), Bukhara (2N). Uzbekistan is best visited during spring and autumn (April to May, and September to early November). 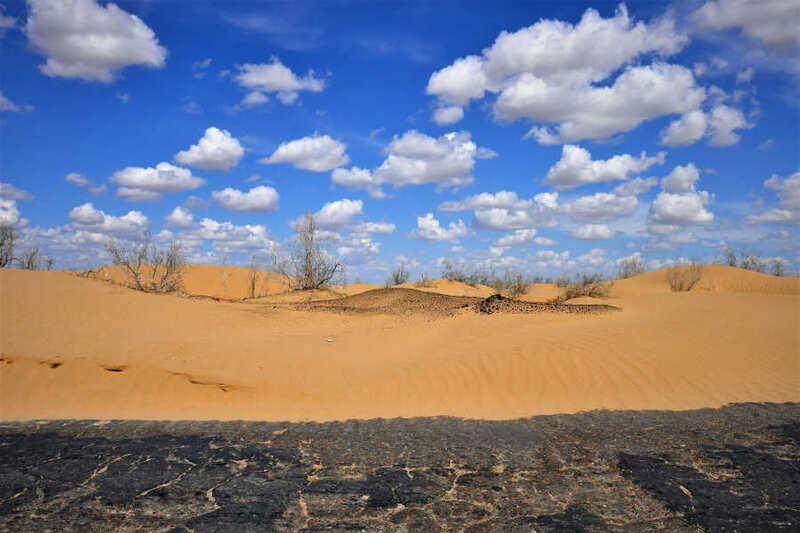 During these periods, it’s typically warm and dry, and you can enjoy the heat of this desert region without it being uncomfortably hot, as it can be during the summer months. Pick you up and transfer to the hotel by our representative. After breakfast at the hotel, meet your driver/guide at the reception. 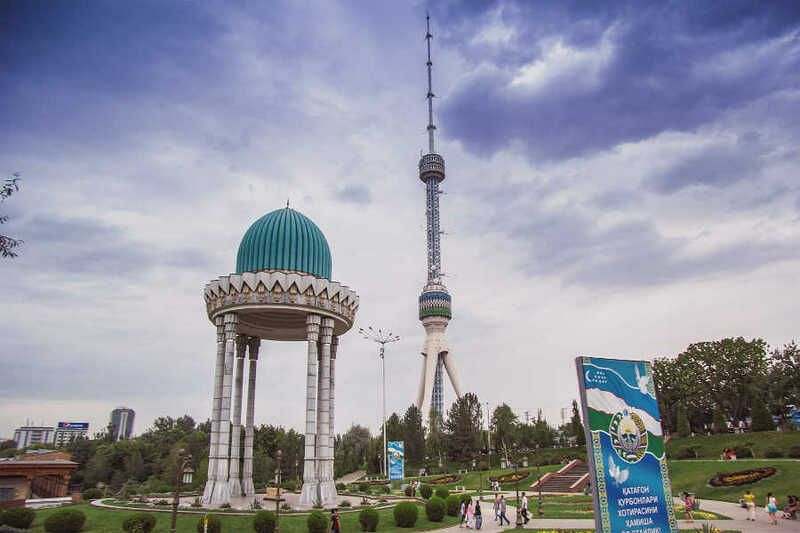 The program for the day will start with sightseeing around the center of Tashkent. The total duration of the city tour will be 4-5 hours. Visit the Independence Square, Amir Timur Square, Opera and Ballet Theatre named after Alisher Navoi, and the Museum of Applied Arts. After lunch in the Choy-khona (local teahouse) visit the Old city and the Hasti Imam Complex - a historical site where we will see the oldest Othman Koran in the world. After the city tour return back to the hotel. Visit the Lal Bahadur Shastri Monument, and the monumental complex ‘Courage’ dedicated to the 1966 earthquake in Tashkent. After lunch, proceed to visit the Samarkand Darvoz shopping center and the Station of the Tashkent Underground. After the city tour return back to the hotel. Rest of the day at leisure. Breakfast at the hotel or you will be provided with a packed breakfast. Transfer to the railway station (7:30 am) to board the train to Samarkand. After arrival at Samarkand, transfer to the hotel to leave your luggage. 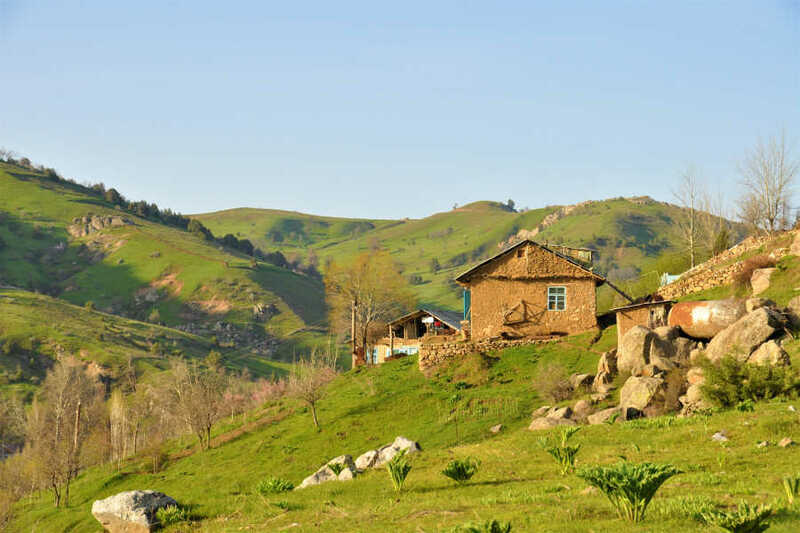 After lunch, proceed to visit the Ulugbek Observatory of the 15 century, Museum of the ancient settlement Afrosiyab, and the Mausoleum of Saint Daniel (Khodja Daniyor). 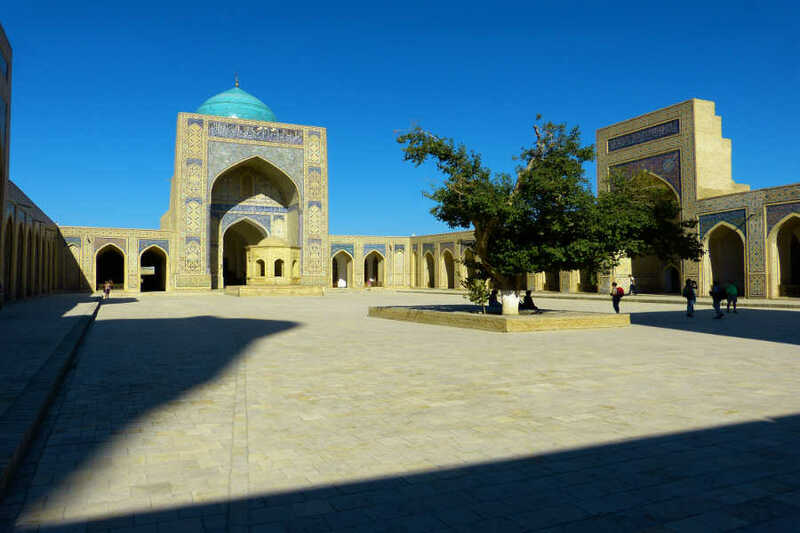 A full day guided sightseeing tour around Samarkand. The total duration of the tour will be 6 hours. Start the tour by visiting the most famous site of Uzbekistan -Registan square, which was the center of Samarkand for centuries. Registan Square is a complex of three monuments: Ulugbek Madrassah (15 th century), Sher-Dor Madrassah (17 century) and Tilla-Kari Madrassah (17 century). 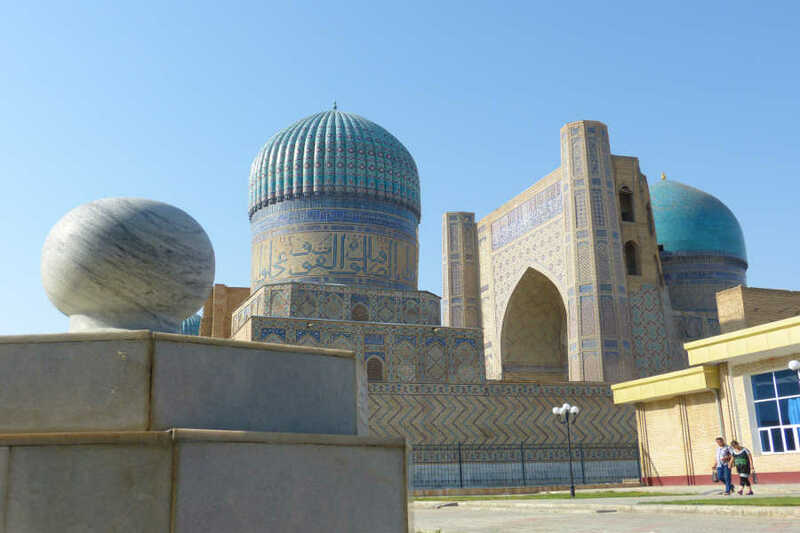 There is another symbol of Samarkand- Gur-Emir Mausoleum (“the grave of Emir”). The construction of the mausoleum, which was started in 1403, was concerned with the sudden death of Muhammad Sultan, the direct heir and beloved grandson of Tamerlane. In 1405 Timur died in Otrar city and his sons decided to move his body and bury him near his favorite grandson. From that time this mausoleum became the burial-vault of Timurids dynasty. Visit the Bibi Khanym mosque one of the largest and most magnificent mosques in the Islamic world, the Syob Bazaar and the Shahi Zinda Necropolis of the Timurids dynasty ( the 12th - 15th century) where the cousin of Muhammad the Prophet, Khusama Ibin Abas was buried. Overnight stay at the hotel in Samarkhand. Visit the Hovrenko Wine Factory where you can taste about 12 Uzbek wines and learn the history of wines in Uzbekistan. On the way to Bukhara, visit the memorial complex of Al-Bukhari, the 9-century theologist who wrote the catalog of Hadises. This complex is located 30 km away from Samarkand. Stop at a village on the way, to experience the life of the rural people. Upon arriving at Bukhara, check into the hotel. The total duration of the tour will be 6 to 7 hours ( 10km). Visit the Mausoleum of Ismail Samani - the burial place of a powerful and influential amir of the Samanid dynasty. This 9th-century mausoleum is considered to be one of the most esteemed works of Central Asian architecture. Visit the museum inside the Arc Fortress - the center of political events and residence of Bukharian rulers until 1920. 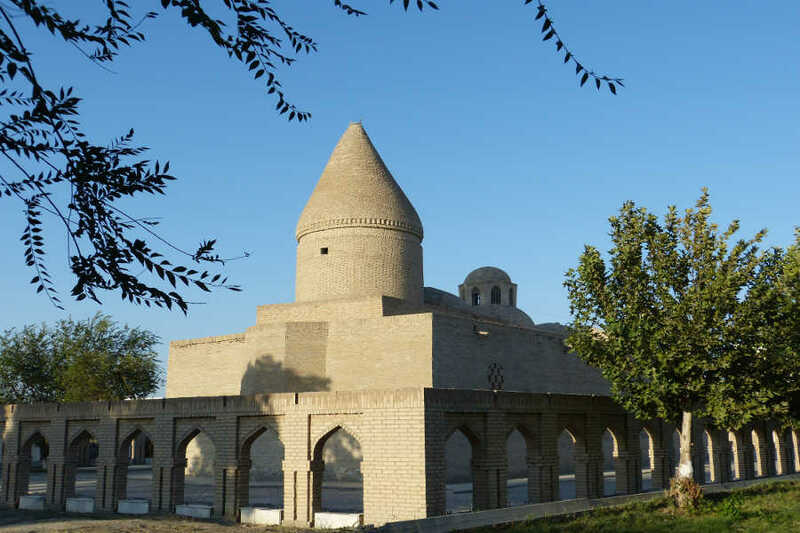 Visit the Poi Kalon Ensemble which includes Kalon mosque, the best-known minaret, Madrassah Miri-Arab, Madrassah Ulugbek and Abdulazizkhan and the 12th century Zoroastrian Magoki-Attori Mosque. Master class of Plov (a one-pot rice dish of meat and vegetables) and miniature paintings in a local family house and dinner. 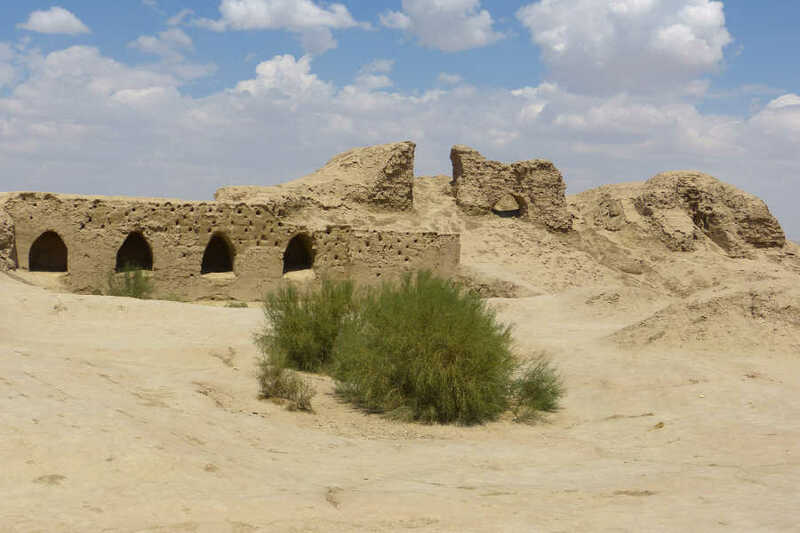 Proceed for a guided sightseeing program in the suburb of Bukhara city. 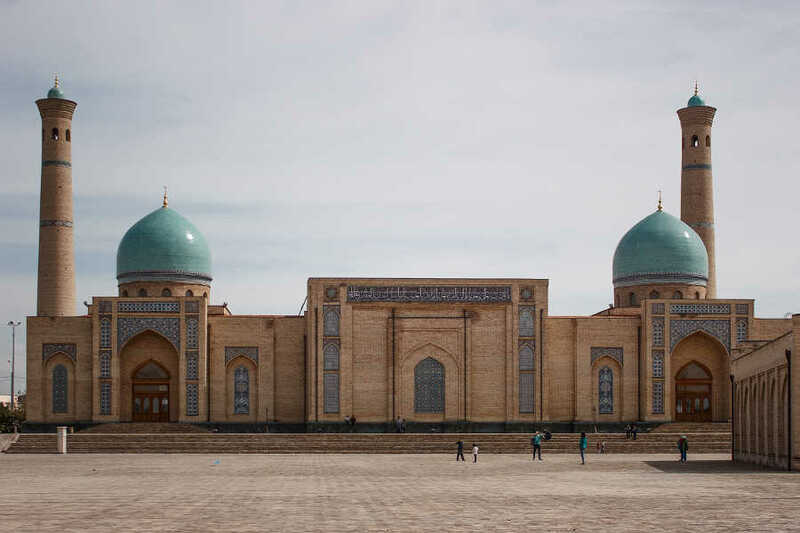 After lunch, transfer to the Bukhara railway station and depart for Tashkent. Upon arriving at Tashkent, transfer to the hotel. After breakfast at the hotel, you have a day for leisure at Tashkent (as per the flight timing). Transfer to the airport to board the flight back home (as per the flight timing). Accommodation based on Twin bedroom at boutique hotels and 3 stars hotels (as per the itinerary). Accompanied by local English speaking tour guide during the whole tour. Visa support for Uzbekistan, Tourist Visa.